It’s been a decade since Don Peppers and Martha Rogers, in their pivotal book, Return on Customer, declared the Customer Experience the single most important factor for business success. There are now dozens of books documenting the successes and failures of companies seeking to drive customer loyalty and advocacy. We know that a great Customer Experience does more than simply foster goodwill, as a 10% rise in customer retention can yield a 30+% increase in value to the company . Nordstrom, Ritz-Carlton, Southwest Airlines and Starbucks manage Customer Experience as a competitive differentiator andfind they have more customers who buy more, stay longer and cost less to serve. Their most enthusiastic customers become advocates, sharing their positive stories with others. Businesses can have direct impact on customer satisfaction and retention by proactively managing every customer interaction through thoughtful strategy and a well-defined Customer Experience Architecture applied consistently across an entire organization and all customer touch points. This article outlines best practices driving increased customer loyalty and advocacy. 87% would rather spend their money with companies that make it easy for them to buy. 67% would rather spend their money with organizations that treat them as individuals. 69% want to be given a wide variety of contact methods. 93% say how a company treats them before they buy anything has an impact on how they think about the company going forward. The best and worst Customer Experiences. We are finding that most companies we work with are operating under an incomplete definition of Customer Experience, and have incomplete tools and approaches to managing their customer relationships. This limits their ability to reap the benefits of their investment and drive sustained customer engagement and advocacy. Of course, consumers who suffer from a poor experience will be reluctant to return. According to recent research , 89 percent of consumers say they have stopped doing business with a company after a single, poor Customer Experience. Even a few disgruntled customers can do considerable damage to a company’s brand and reputation, creating and spreading negative publicity that is difficult to overcome. In fact, a recent Temkin Experience Ratings report  underlines these points, showing three retailers and three grocers ranking as the best providers of overall excellent Customer Experiences. Rising above the pack are retailer Publix (85%), grocer Aldi (84%), grocer H.E.B. (84%), retailer Pet Smart (82%), retailer Amazon (82%) and grocer Trader Joe’s (82%) – each rated “excellent” by customers. 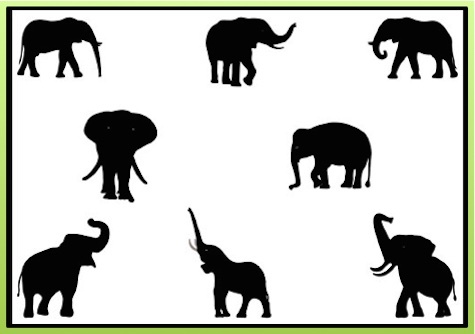 Which part of the elephant do your customers see: Customer Service? Marketing? Sales? Merchandising? Operations? While Customer Experience can be defined as “the sum of all interactions a customer has with a company“, most people operate with a narrower view. In fact, a company’s Customer Experience often shifts and changes with the person or function involved with the customer – prompting one to ask: which part of the elephant defines your experience? How to avoid common pitfalls and build customer-defined value and engagement? Increasingly companies are deploying a more thorough approach to designing and managing their Customer Experience by employing Customer Experience Architectures. This approach is similar to other strategic architectures that are used as planning tools, such as brand or information architectures — or a structural architecture used to build a house. By implementing this approach, a company can avoid the most common pitfalls and problems (see Figure below). The Customer Experience Architecture is fast becoming the best practice framework for designing and delivering optimal experiences to different customer segments, in different business segments, with different business objectives – across the enterprise. A well-designed Customer Experience Architecture improves the effectiveness of your overall Customer Experience Management. This framework is a more thorough approach to designing and managing Customer Experiences, as it drives value from the customer’s perspective across all touch points. The process of developing this architecture enables a cross functional team to break down organizational silos, address the diversity of customers and their needs, and produce unique and compelling experiences. In a changing world with changing expectations, customer experience management is an essential competitive differentiator. 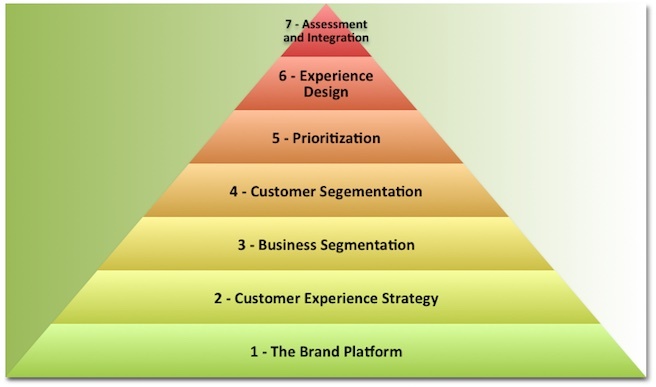 Companies of all sizes and types can design an architecture that aligns with their specific customers and business needs through engaging the right teams in working through seven key steps (see Figure below). 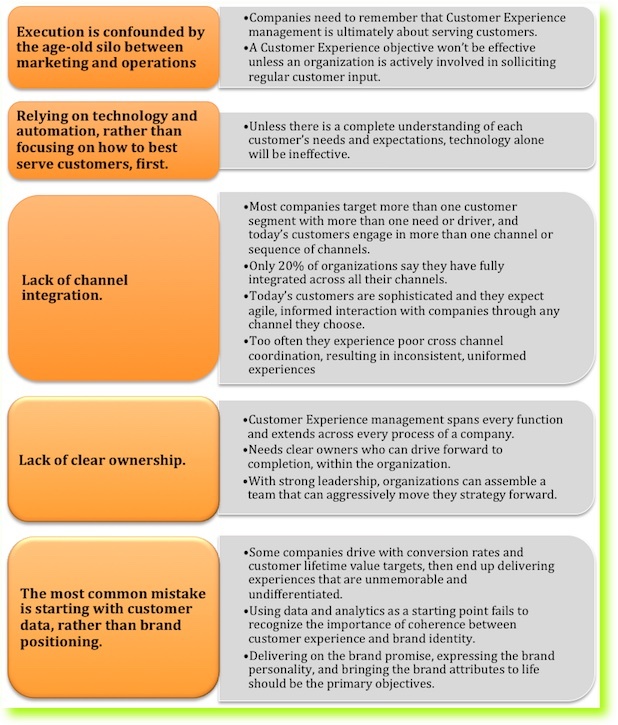 How to provide differentiated experiences through customer-defined value? Market leaders such as Constellation Brands, Amazon, Trader Joe’s and Starbucks stay ahead of the competition by proactively and continuously identifying consumer short-term needs and longer-term consumer behavior shifts. Their teams take deep dives into consumer behavior to understand how their customers want to engage. Here are a few ways to differentiate. Listen! Understand what your customers value by implementing a customer listening centered strategy. However, also make sure you revisit your fundamental segmentation research every 5-10 years if you wish to get ahead of new trends. Constellation Brands released results of a comprehensive study identifying six segments of wine drinkers based on their purchase behavior, motivations and preferences. The study follows up on a similar study conducted by the company, ten years ago. Three of the segments identified in the updated study are new and reflect significant shifts in wine consumers – and now account for more than half of the wine drinking public in the United States and Canada. Drive value! According to McKinsey & Company, 70 percent of the average buying experience is based on how the customer feels he or she is being treated. For today’s savvy consumers, aggressive pricing and brand recognition alone are no longer enough to ensure growth and loyalty. Instead, consumers are placing increasing value on the quality and consistency of their Customer Experience. Engage! Most companies get important feedback but never take action. Close the communication loop by letting your customer know about key initiatives. It is not enough to have a great Customer Experience strategy and a well-implemented plan if an organization has not done a good job at getting the message out to your customers, especially the changes that are primarily due to customer feedback. Closing the communication loop with customers raises the profile of an organization’s Customer Experience initiative and lets them know that their views are valued. Empower! A structured approach is an important first step and provides the right support through all phases of planning, deploying and optimizing customer initiatives. Companies also need to ensure they have the appropriate corporate ownership, processes and systems in place as they embark on the customer-experience journey, by giving employees resources and authority to serve their customers. By maintaining a continual focus on their customers’ needs, companies set the stage for immediate financial benefits as well as sustained growth and loyalty. There has never been a better time to foster a more customer-centric organization. Consumer expectations are changing rapidly and companies such as Amazon and Starbucks do more than simply survey customers and sketch out a strategy. They take aggressive steps to develop in-depth understanding of their customers; and then create and implement a comprehensive Customer Experience program. Find out how we can partner with your team to design customer-centric go-to-market strategies and experiences. Call Deborah Steinthal, to set up a meeting (707-246.6830).